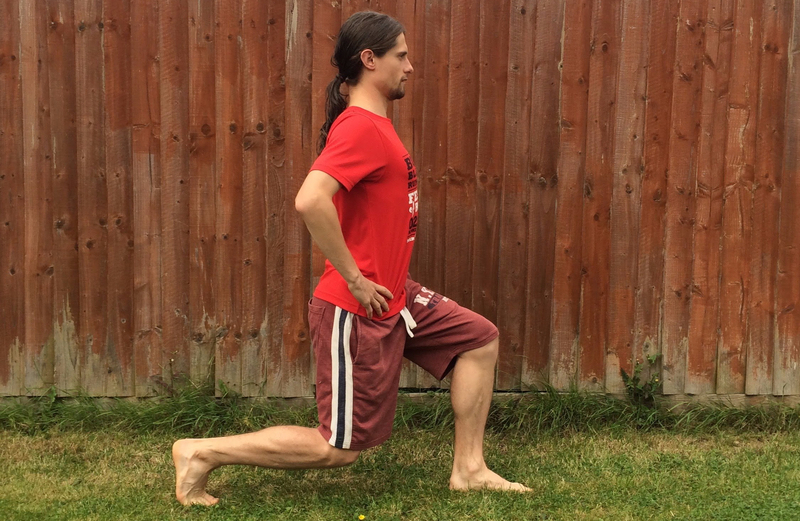 Lunges are a great method of strengthening your legs and improving your balance. Lunges condition large muscles used for running including the quadriceps, hamstrings and glutes. The smooth motion also allows you to visualise. Position yourself with one foot forward, planted firmly on the ground with the knee bent. The back leg should be a step behind your body, your heel off the ground. Your back should be straight, with you chest out. Inhale as you lower your knee close to the ground, and exhale as you raise to your starting position. You should be able to see the tip of your front foot, even as you lower. I undertake lunges of high reps to build my endurance, but have also completed workouts of low reps whilst holding weights as well as jumping lunges (alternating legs).